Winners of the 2017 NGS Super Scholarship Awards have been announced. Formerly known as the Dedicated to the Dedicated Awards, the awards encourage the professional development of teachers, support staff and management staff of non-government schools, while further enhancing the education sector. The winners will each receive a $5000 scholarship. Cynthia Jobe-Parker runs a number of clubs in her school focusing on upskilling students in the digital space and is a Seesaw Ambassador and a Google-certified teacher. She runs two coding clubs and a robotics club in her own time at lunch and after school. With her scholarship she plans to focus on her professional development and is interested in attending the 2018 ISTE Conference, a premier educational technology conference in Chicago, USA. Brett Salakas is the founder of #aussieED, a popular online network of teachers, for teachers in Australia. With his scholarship funding provided by NGS, he will go on a study tour to Chicago to attend the 2018 International Society for Technology in Education Conference (ISTE). He intends to digitally-record his experience so he can share his learnings with other teachers in Australia. 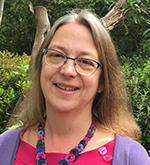 Margaret Jordan is a mathematics teacher and Head of Data Analysis at Abbotsleigh School in NSW and this year, has established a ‘Data Network’ of likeminded educators whose focus is to utilise data for school improvement. With her scholarship funding, she will tour schools in NSW and interstate which fall under the umbrella of the Association of Independent Schools and which are utilising data to improve teaching, learning and student welfare in a meaningful way. Mark Fielding was instrumental in establishing and developing partnerships between St Stephen’s and the Yiyili and Purnululu Aboriginal Schools in the East Kimberley region of Western Australia, culminating in the signing of Memoranda of Understanding in 2015 with the elders of the school communities. His scholarship will be used to further develop the schools’ learning links and partnership with the Yiyili and Purnululu Schools. 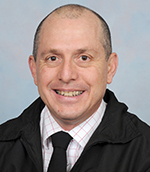 Victor Calleja is a library assistant at St Columba College in South Australia and with his scholarship funding is planning to undertake a study tour of select schools in Manchester, England, known to have some of the best libraries and resource centres in the world. He plans to share his learnings with Catholic independent schools and the Department for Education and Child Development in South Australia. 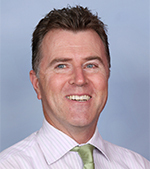 Peter Garside is a secondary school mathematics teacher at Abbotsleigh School and the founder of Systematic, a puzzle-based tool used to engage students in a number of symbolic learning tasks as well as mathematics and numeracy. The scholarship will be used to further develop his pre-existing digital resource and distribute the tool to schools across Australia. Anthony Rodwell-Ball, Chief Executive Officer of NGS Super congratulated this year’s winners for their inspiring vision and commended all applicants on their commitment to bettering not only their careers and their schools, but also the education sector at large. “Each year, we are amazed by the calibre of outstanding applications we receive from teachers, management and support staff alike; all who are united in their vision to enrich the education sector,” Mr Rodwell-Ball said.